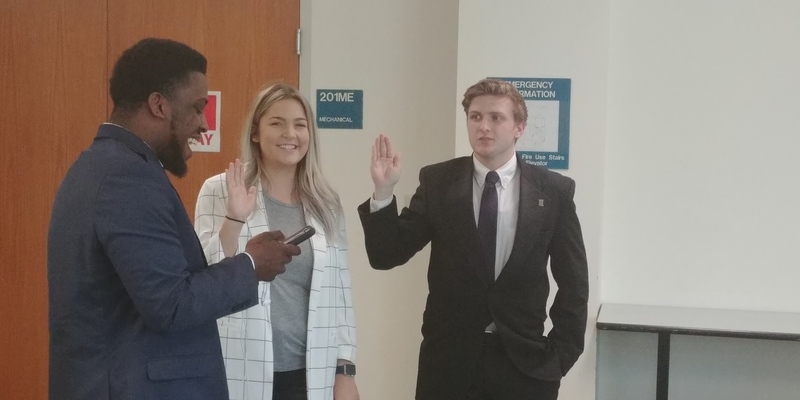 Former president Brian Gregory passed the torch on to Mat Wheeler and Caddo Lowery at the year’s final SGA meeting, formally inducting them into their offices as president and vice president. Advisors Jenny Dodson and Karen Willson, who reprimanded the SGA a few months ago for what they perceived to be a mediocre work ethic, ended the meeting with kind words. Though the SGA has experienced a few challenges in the past year, Gregory says he would not change a thing. After adjourning, the members of the SGA closed the year with a celebratory dinner at U.S. Pizza Co.